Knowledge of German language can create ample opportunities for freshers as well as working professionals. 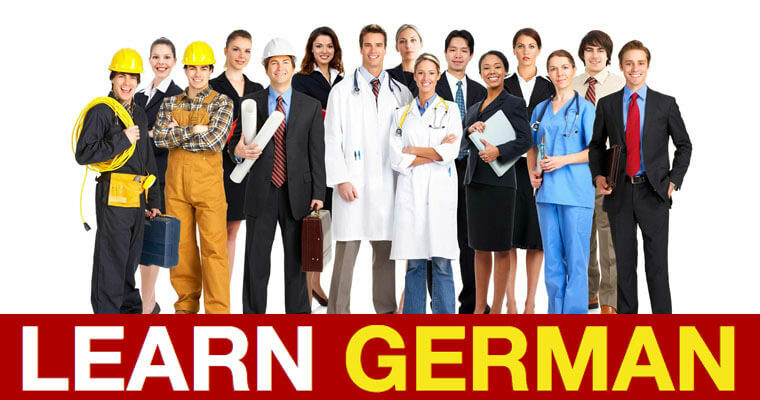 German language institute in Chandigarh are very less in number and growing rapidly with the increasing demand of German speakers. Chandigarh is city designed by European architect so people of the city are highly influenced by European culture . When we talk about best German classes in Chandigarh only one name has emerged with best faculty and that is Rise Global Academy for brilliant German classes. Rise Global academy is a German Haus where students are assisted Goethe exam in Chandigarh. Like French, German language is also comprises of 6 levels of language proficiency . All six levels are taught at Rise global Academy Chandigarh by the professional trainers with flexibility of time and affordable fee structure for different levels. Pronunciation is one of the challenging aspects in learning any language and same is the case with German /duchelanguage. German language classes in Chandigarh are best at Rise Global Academy because faculty provides utmost attention for correct pronunciation of German words with practical examples. German A1 level and A2 level are the basic levels of this language which will apprise you about the various alphabets and numeric along with rules of grammar. For German classes in Chandigarh, Rise global academy is the only academy in Sector 32 D Chandigarh. German course in Chandigarh at Rise Global Academy is a customized course so that students can clear their Goethe exam with ease and effortlessly. Students are also assisted for German study visa in Chandigarh at Rise Global Academy because various universities and colleges are offering free education for meritorious Indian students in different fields. Most of the engineering students are moving to Germany as this county is the mother of automobile industry as well as famous for Electronics items. Post work visa is an add-on benefit for the people who are interested to work at Germany. For Study visa in Germany you can get consultancy in Chandigarh at Rise Global Academy. Even you can get guidance for spouse visa in Germany from our centre. German is the Fifth largest European country and it stretches about 875 Kilometers from North to South and 600 kilometers from West to East. In all it has a surface area of 357000 sq. kilometer and about 80 million inhabitants. Rise Global academy Chandigarh provides all type of consultancy and academic assistance in relation to German language classes as well as study visa. German is a very interesting language and spoken largely in Europe and all over the world. Like good morning in English is spoken as Gutenmorgen. Rise Global academy Chandigarh is a German Haus and faculty is highly qualified and capable to fulfill the requirement of all levels of Deutsch language. German A1 and A2 level is for basic learners and B1 and B2 level is for intermediate learners and C1, C2 level is for advance learners. Best classes for German in Chandigarh are adjudged excellent by its results and students reviews. Highly qualified German trainers impart knowledge of German language with practical examples and through interactive methods and modern techniques. Deutsch language is also optional in most of the renowned private schools in Chandigarh. Rise global academy also assists for German exams as Centre of Goethe is in Chandigarh and student can appear for different level exams at Chandigarh Centre also. German A1 level exam fee at Goethe institute Deutsch can be paid online. Nominativ der, die das die and Akkusativ den die das die, Dativdem , dem, dem and Genitiv des der des der are few common words in German language. Dear Future Engineers:We prepare students for A1 (2 months) and A2 (2 months) examinations conducted by the Goethe Institut (Max Mueller Bhavan). Classes conducted at convenient timings for students pursuing full-time courses. Qualified, experienced and cooperative faculty. Best infrastructure for practising listening comprehension exercises and audio-visual tools for an enhanced learning experience. »Germany is a popular destination for quality and economical Higher Education, esp. among Indians. »Learning German language gives students an edge over the competition in the Indian and German job market. » Demand for German and French language teachers at schools is rising. » Germany, France and Canada are popular destinations for quality and economical Higher Education. » Learning German and French gives students an edge over the competition in the Indian job market. We prepare students for international examinations for German and French language recognized by German, French and Canadian governments, respectively. Flexible timings for students pursuing full-time courses. We prepare students for German language proficiency exams that are recognized by the German government. Early morning and evening classes for the convenience of students pursuing full-time courses. Greater need for community pharmacies to play a key role in the healthcare system of the future. Germany needs healthcare professionals, including pharmacists, desperately!! Germany is the most popular destination for SUBSIDIZED & QUALITY HIGHER EDUCATION. Convenient timings for working nurses/students pursuing full-time courses. A shortfall of 84,000 nurses expected in Germany till 2020, according to the Rheinisch Westfälisches Institut für Wirtschaftsforschung. Till 2030 the gap will be over 200,000 nurses. You are under 26 years of age and love being with children! If you are interested in applying for Au Pair jobs in Germany and Austria, then you need to have basic knowledge of German language.